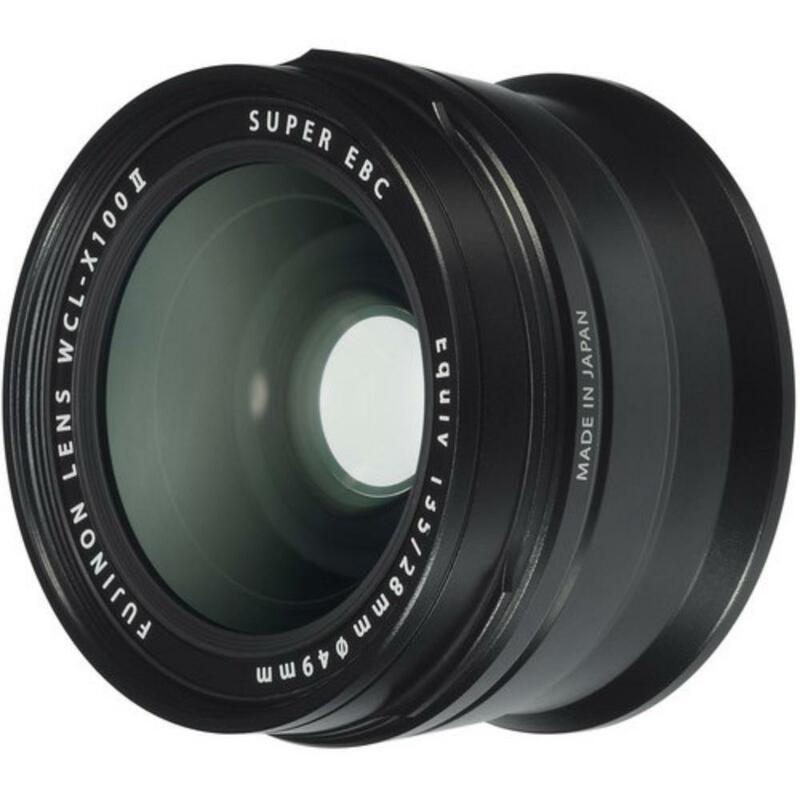 The Fuji WCL-X100 II Wide Conversion Lens widens the angle of view of the X100 series Fuji cameras (rentable separately) from 23mm to 19mm, or from a 35mm equivalent to an approximate 28.5mm equivalent. It is small enough to keep in your pocket and pop onto your Fuji's built-in lens whenever you need more reach. On the X100F, the conversion lens is recognized when attached and displays matching frame lines when working with the optical viewfinder. 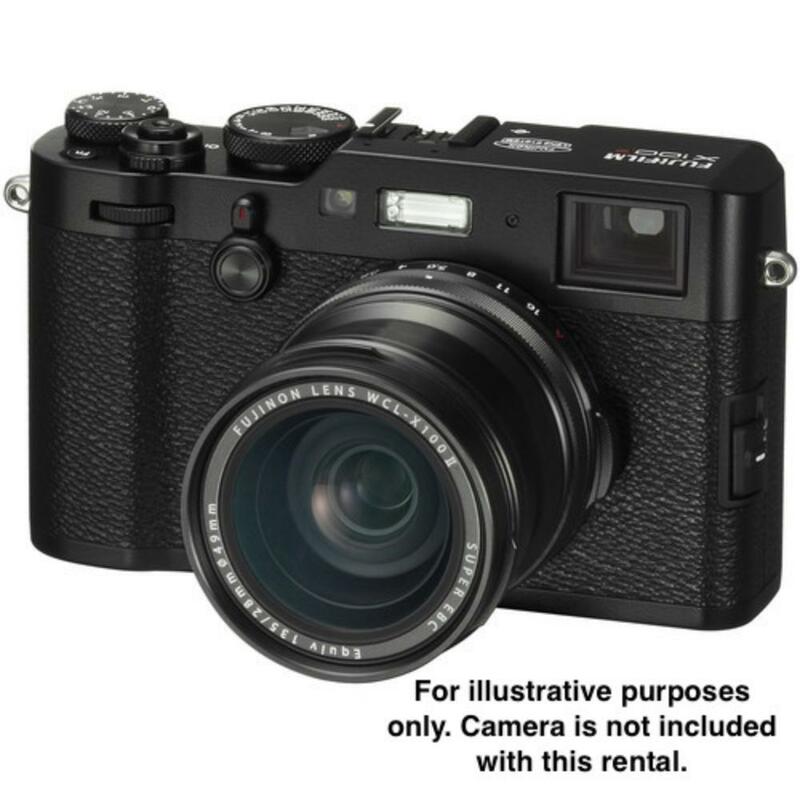 It is ideal for travel and street photography and also makes the Fuji X100 series even more suitable for portraits. • This conversion lens may cast shadows in pictures taken with your Fuji's built-in flash.